Hong Kong Employment Visa Change of Sponsorship - Important! This an excellent question which has never come up in this fashion before so I’m delighted to provide the answer! I have just been made redundant by my Australian employer and my last day working in Hong Kong will be August 30, 2013. 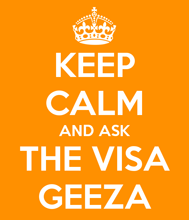 My visa permit period extends to the end of next year (November 2014). I am coincidentally in the final stages of negotiating a new role with a different firm, also located in Hong Kong. However, I do not want my potential new employer to know that I have been made redundant, lest they use this knowledge to my detriment in the final stages of compensation negotiations. 1. When my new employer eventually undertakes the Change of Visa Sponsorship activity, will they come to know that I was made redundant, or will the forms be silent vis a vis who left whom? 2. Will my new employer know the date I left the current firm, i.e., August 30, or only that I have left it and that I am eligible for a new work visa sponsored by them? What do you need to to do if there has been a change in the details of your Hong Kong employment visa sponsor but no change ion your employer?